The original documents here printed were kept, with hundreds of other old papers relating to the town of Providence, in cloth bags in the office of the town and city clerk, until the year 1845, when they were deposited with the Rhode Island Historical Society for safe keeping. Soon after they were received by the Society they were pasted into scrap books for their better preservation, but without any particular classification or chronological order. It was not until after the city again assumed the custody of them, and they were repaired and arranged, that the relation which one paper had to another was discovered. 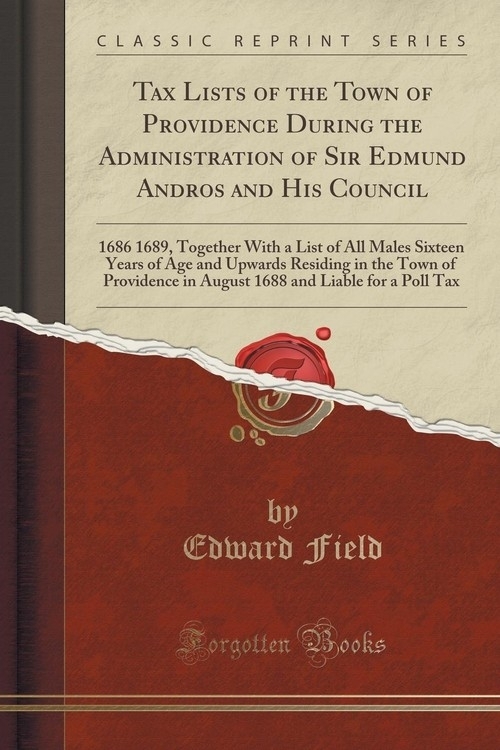 The originals are now included in the volume of Providence Town Papers No. 2, and are numbered respectively 0505, 0511, 0531 and 0532. For similar tax lists during the Andros period, the reader is referred to the First Report of the Record Commissioners of Boston.